-contact resistance: 30m Ohm MAX. Posted By: Wenzhou Datai Electronics Co., Ltd.
Business Description: Wenzhou Datai Electronics Co., Ltd. was open in 2001 and started AV socket and 3.5 socket. 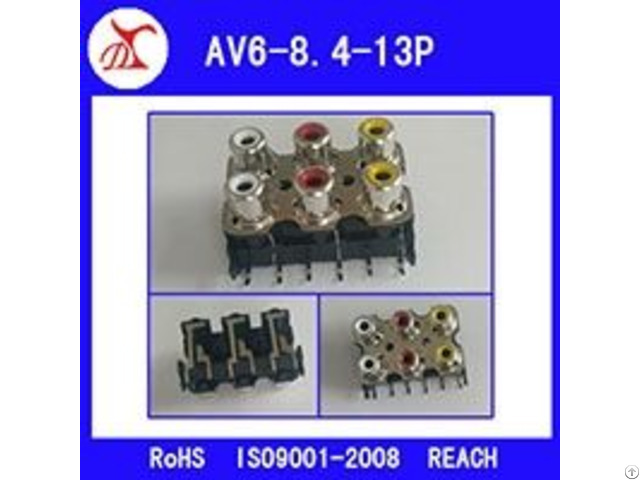 Since 2008 the company changed to the products such as RJ11 socket, RJ45 socket, shielding frame socket, household appliances connectors etc. ; and all products can be used for TV, STB, computer, audio, network communication and car’s air conditioner. Covering 1000sqm, there are 3200sqm buildings and about 185 staff including 11 professionals, 8 manager and 20 quality inspectors. The company pays attention to the process quality control, carries out 7S management system, and establishes complete quality management system. In Sep., 2008, it has passed the certificate of ISO9001:2008 Quality Management System.